The Pantry Pest Trap attracts and traps flour moths such as Indian meal moths, seed moths, raisin moths, almond moths and tobacco moths. 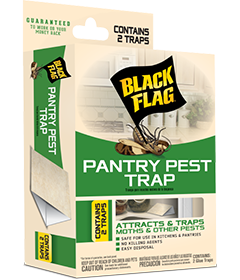 The Pantry Pest Trap is ideal for kitchen cabinets or other food storage areas. 1. Place trap in cabinet or other area where moths have been spotted. 2. Check trap weekly and replace if full. Discard after three months. Place trap in common moth problem areas, such as kitchen cabinets, pantries, basements or garages. Moths are typically found where dried foodstuffs are stored. Use at least two traps and not more than four at a time. This product is most effective when placed within 10 ft of the infested food source. Storage: Store in cool, dry place out of reach of children and pets. 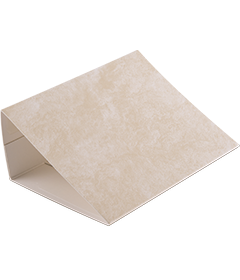 Disposal: Wrap trap in newspaper and place in trash to dispose.